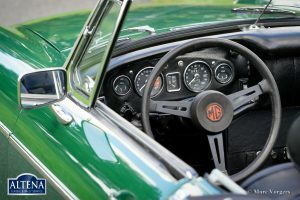 MG MGB roadster, year 1968. Colour British Racing Green with a black leather interior. 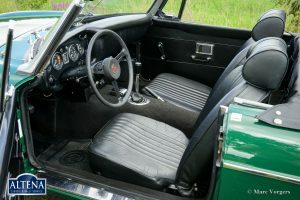 Black soft-top and hood-cover. 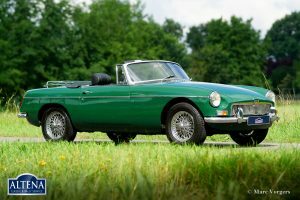 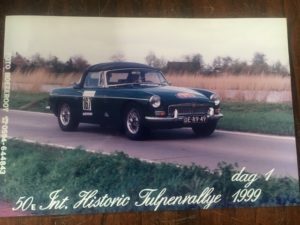 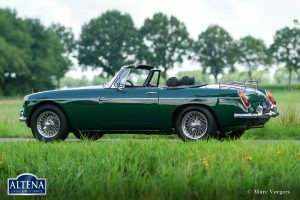 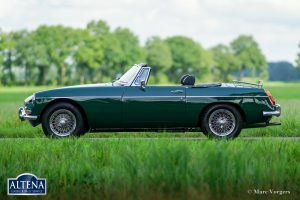 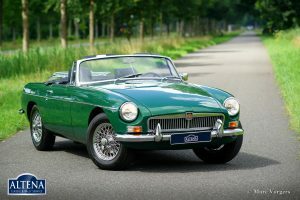 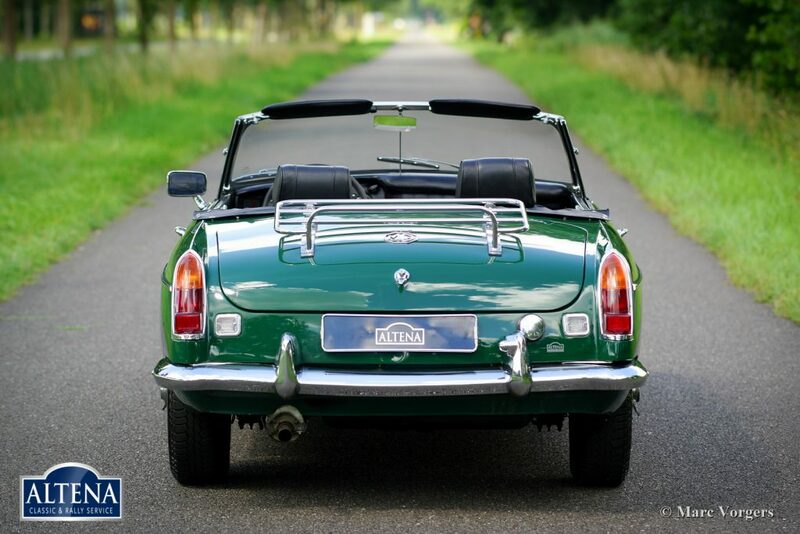 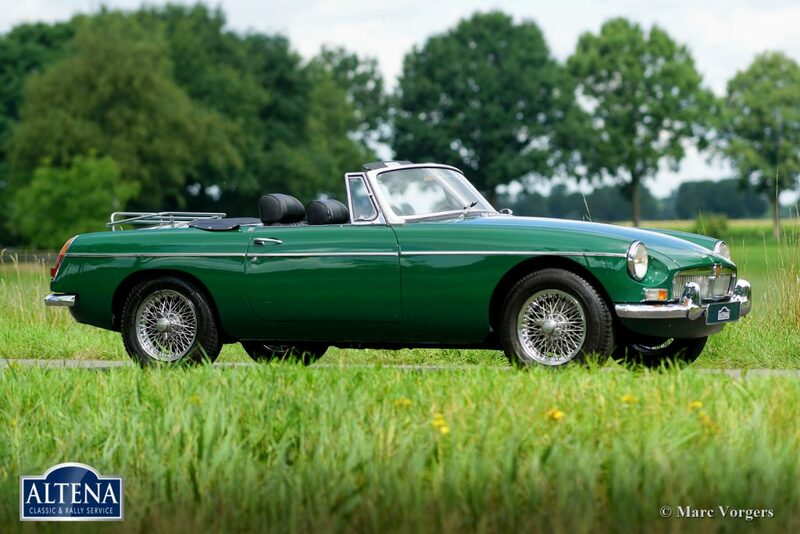 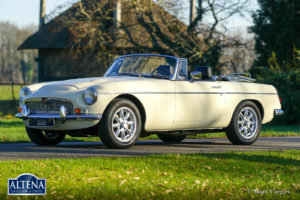 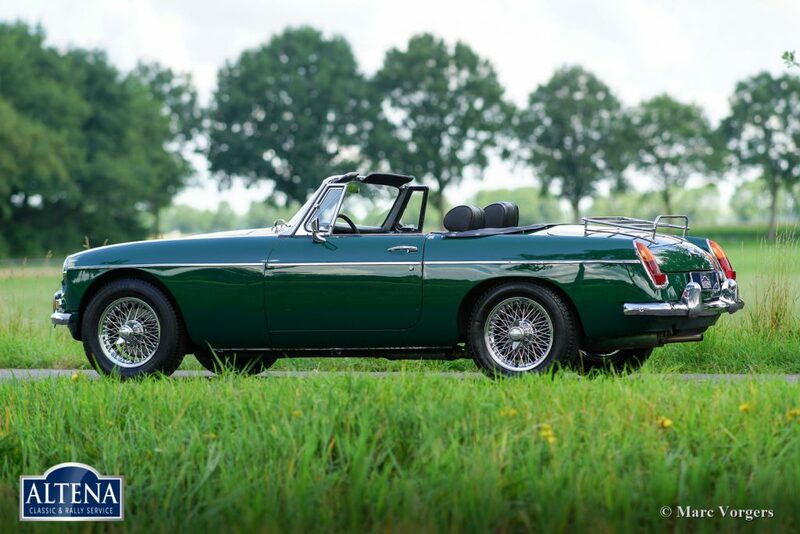 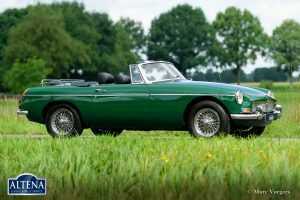 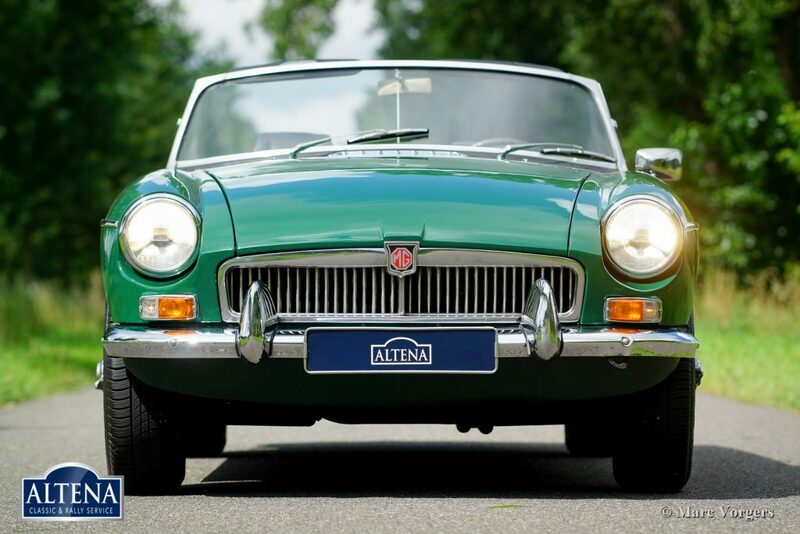 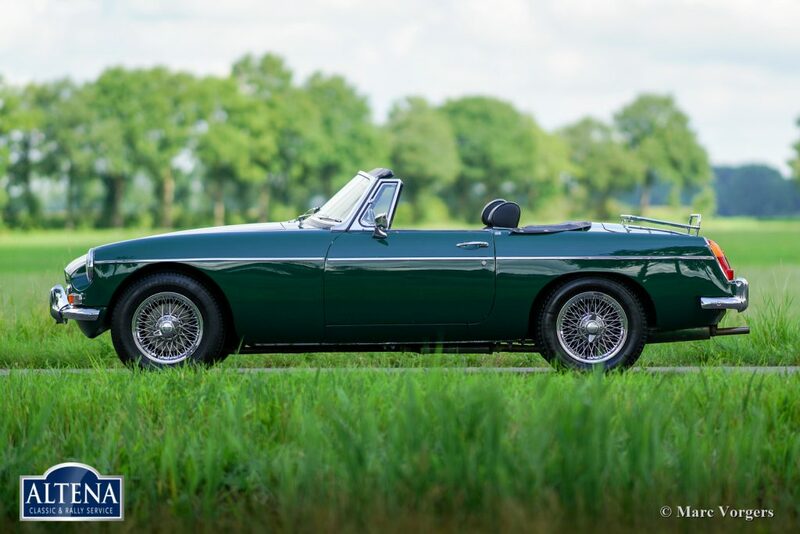 This wonderful MGB roadster was imported to the Netherlands in the year 1991. 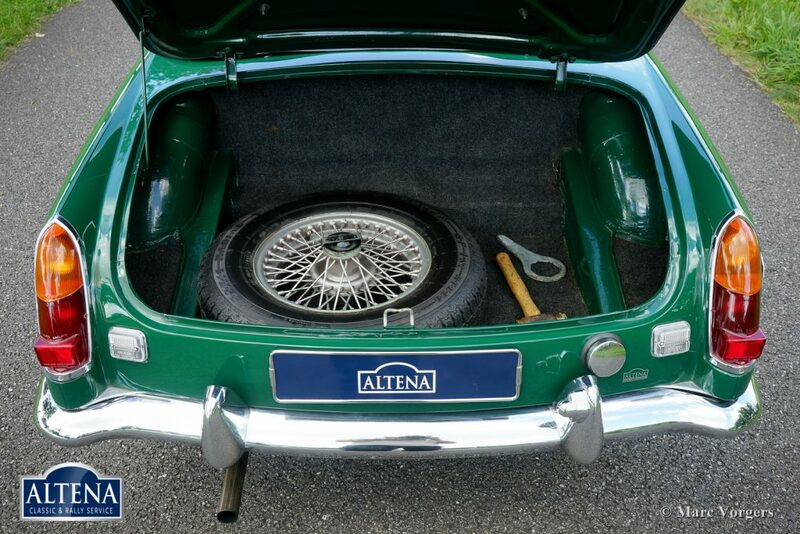 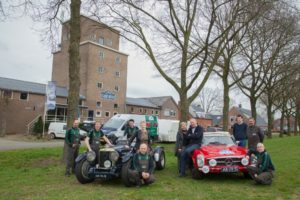 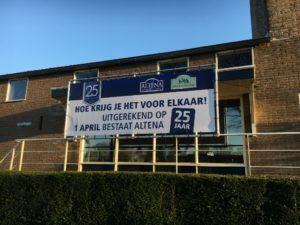 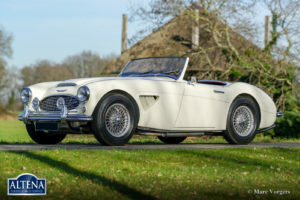 The current owner purchased the car at Altena Classic Service in 1995 – 27 years ago! 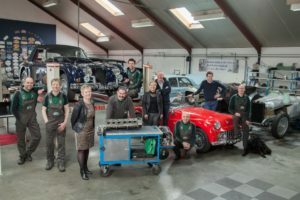 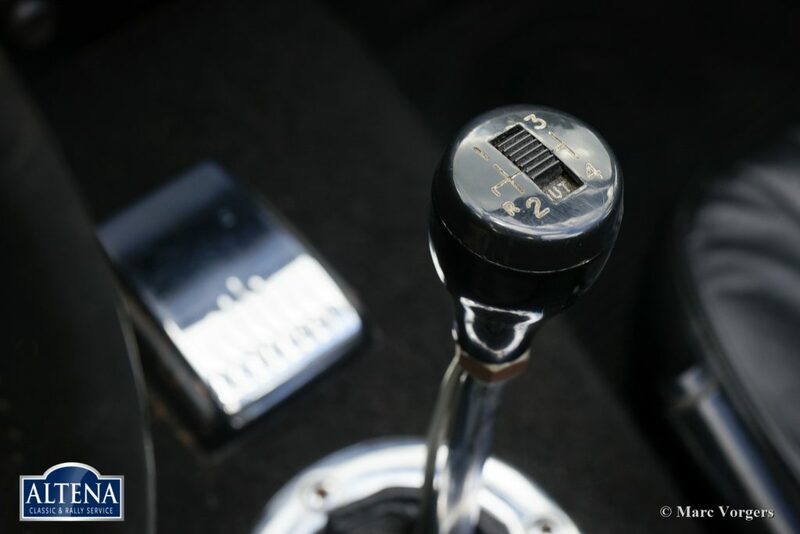 Recently the car received extensive service and improvements at a cost of € 4700, –. 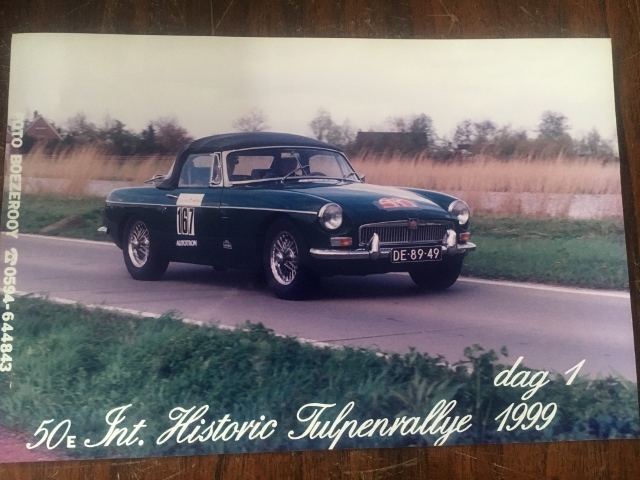 (Invoice with description of the work is present). 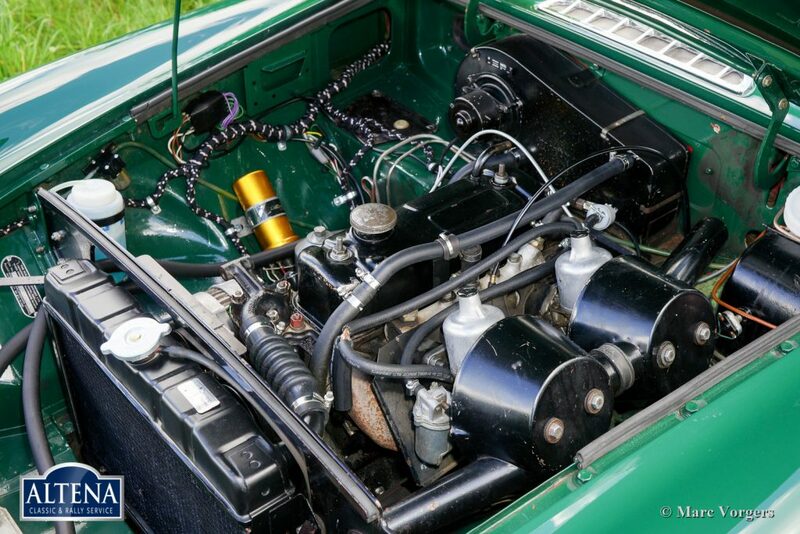 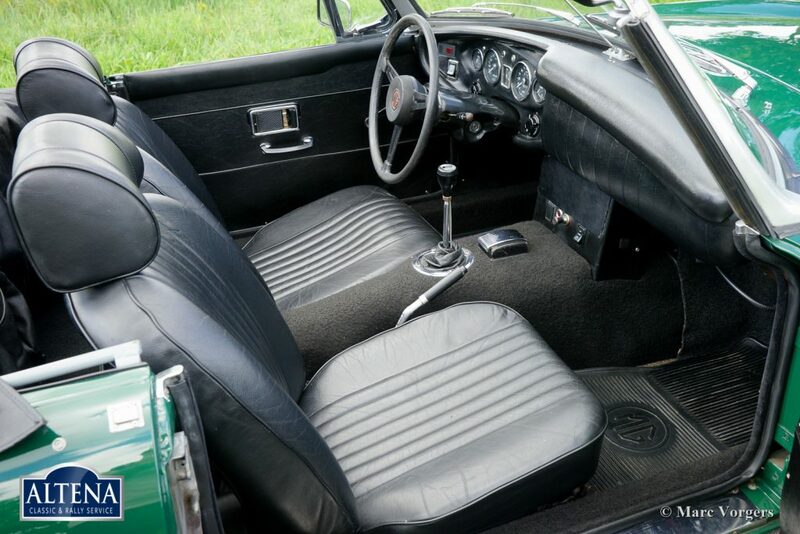 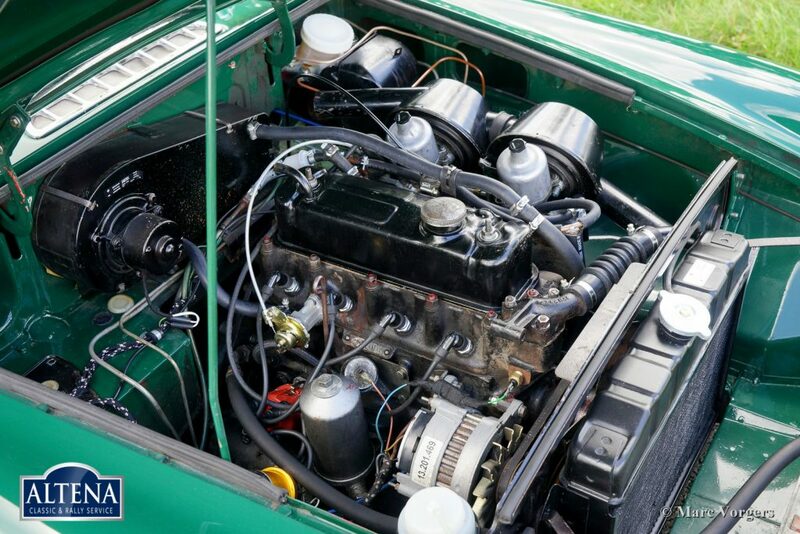 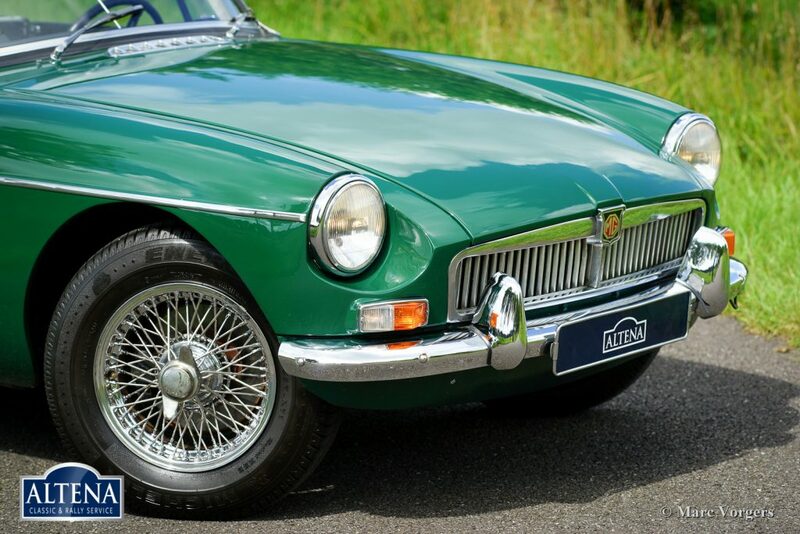 This MGB is in excellent condition and the car drives delightfully. 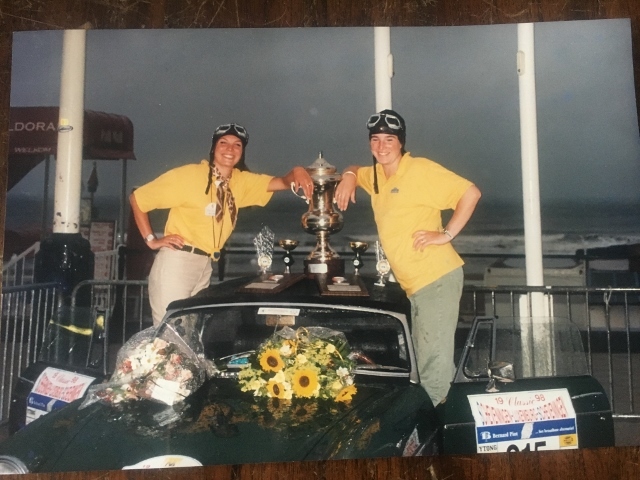 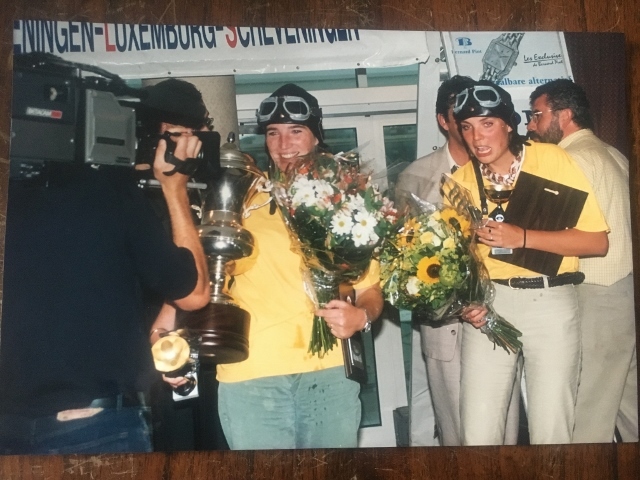 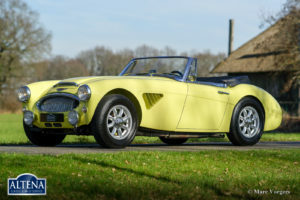 Over the years the owner’s daughter has used the car to participate in several historic (touring) rallies, she even finished without any problem in the famous Tulip Rally some years ago! 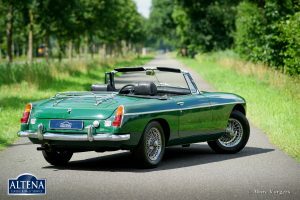 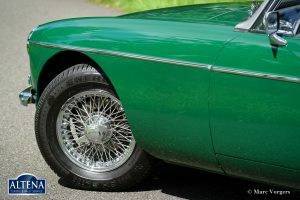 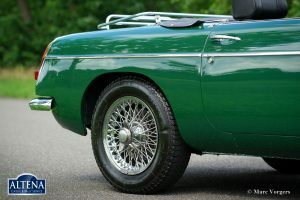 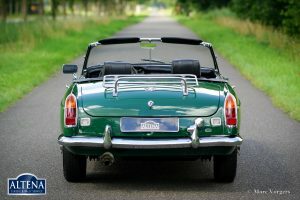 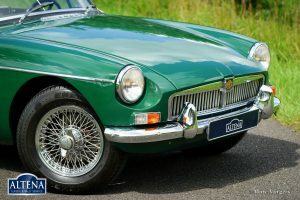 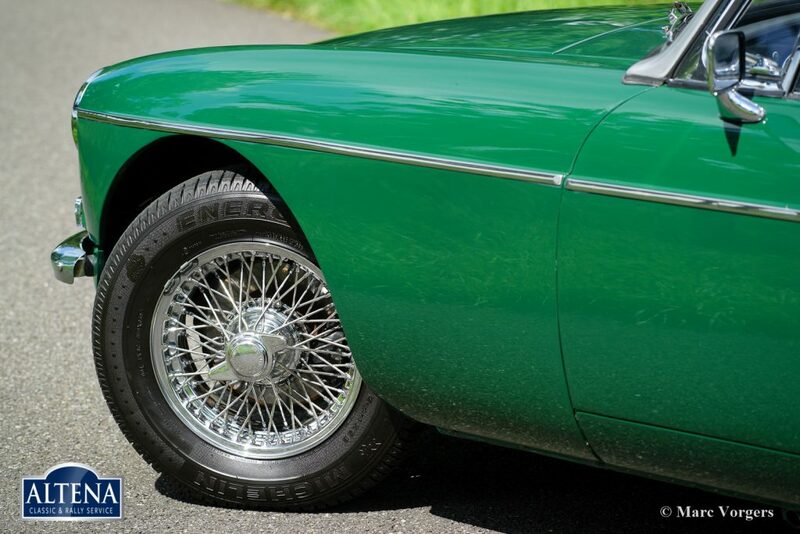 This MGB roadster is fitted with chrome wire wheels, chrome ‘knock-off’ wheel nuts, a chrome luggage rack and OVERDRIVE. 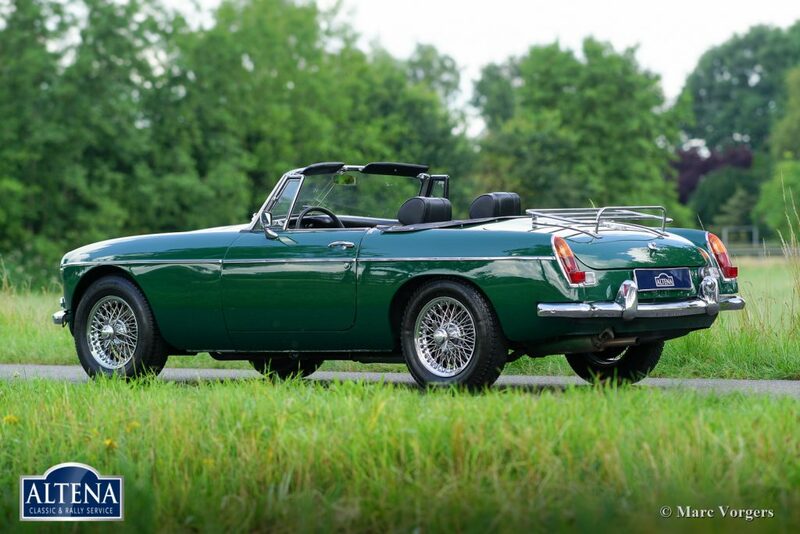 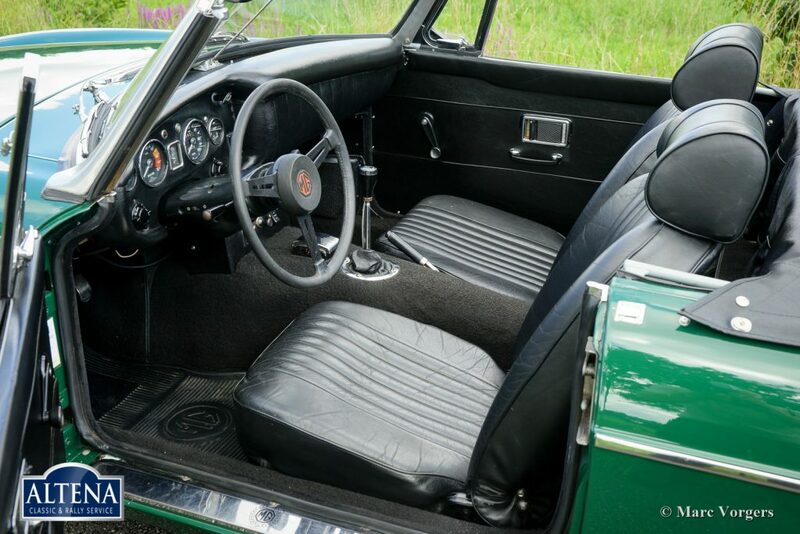 This fine MGB roadster is ready for any new adventure!